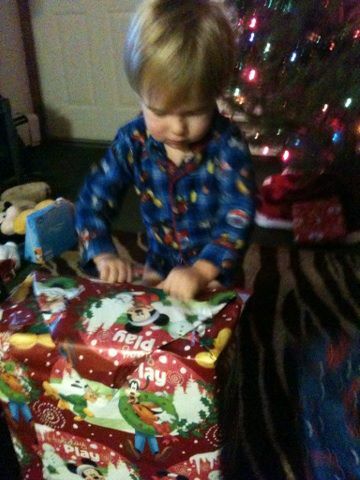 We had a wonderful Christmas this year! Our Christmas celebrations started off on Christmas Eve when Frank's sister, her partner, and Frank's mom came to our home to give the kids their Christmas gifts. 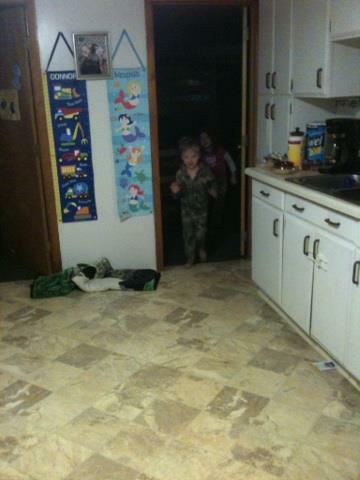 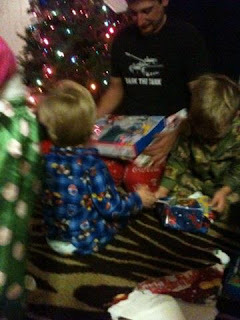 The kids were SO excited to see auntie and see what goodies she got for them! 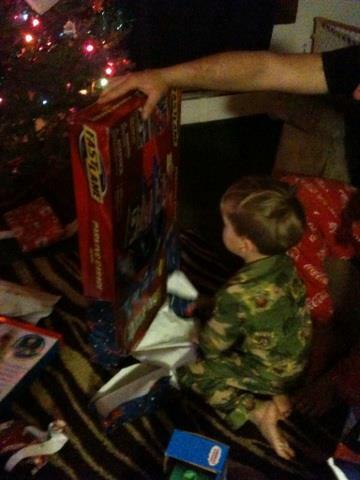 Connor got a "computer" which is actually more like a kid's toy ipad that teaches various things, a Spider Man t shirt that talks, and a bulldozer toy that makes various noises from auntie, and a cool remote controlled truck from grandma Cindy. 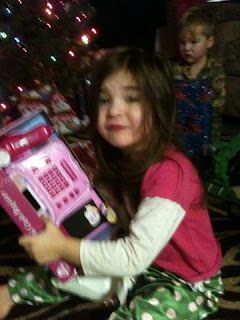 Merasia got a Barbie "computer" which is just like her brother's, it's like a kid's toy ipad, and she LOVES LOVES LOVES it! She has been asking for a computer since after I went shopping for her and I told her maybe Santa would bring her one, so thankfully she finally got it! 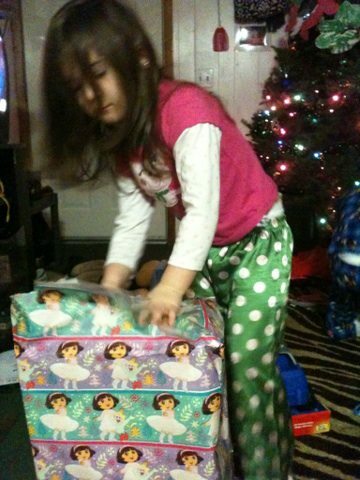 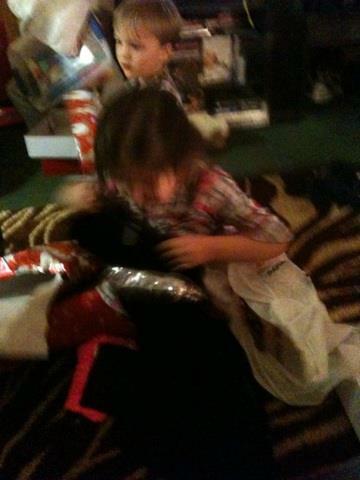 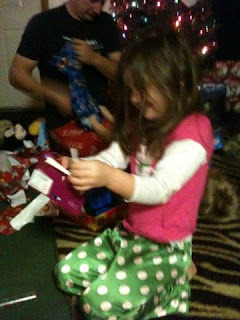 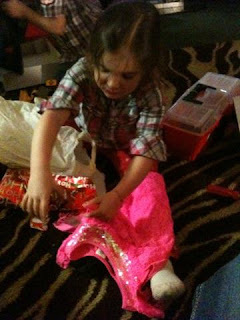 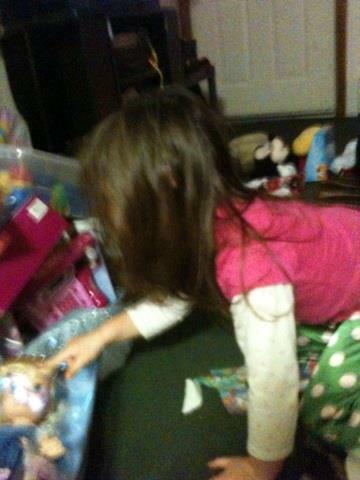 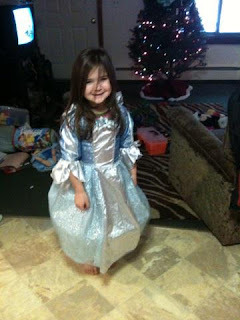 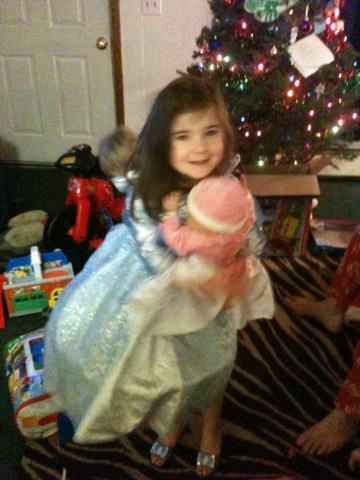 She also got a shirt and legging set, and a pretty black dress from auntie, and a barbie from grandma Cindy. 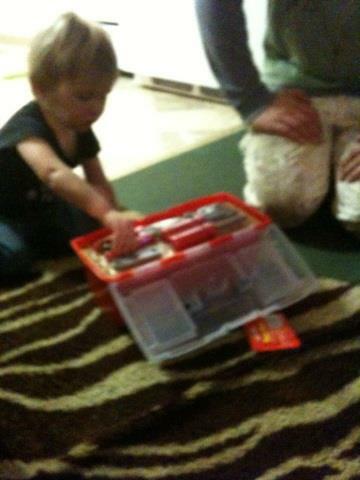 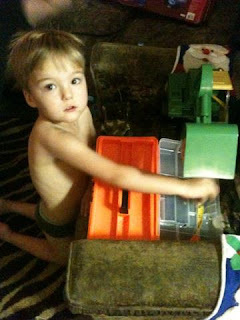 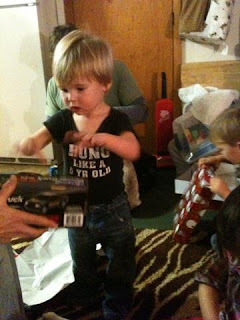 Mason got his first tool box with tools included, and a Mickey Mouse outfit from auntie, and a cool car from grandma Cindy. As soon as Mason opened his Mickey Mouse outfit, he pointed to Mickey and said "Nah-Nah!" 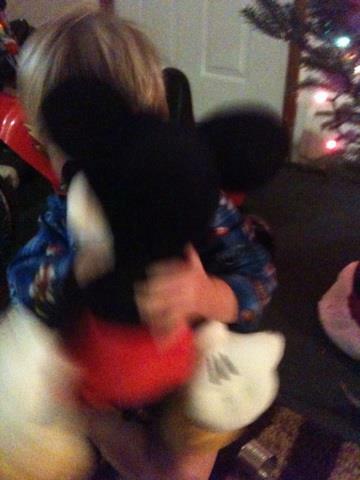 That's his nickname for Mickey, and it's the cutest thing EVER!! They were very happy with their goodies! 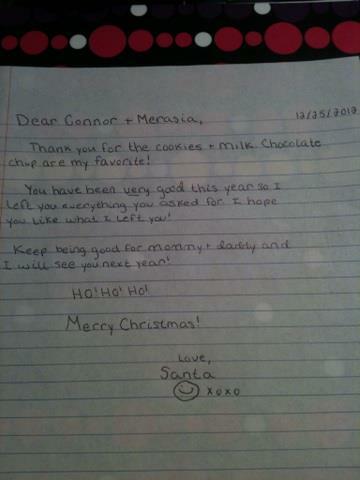 Later that night before we went to bed, Connor and Merasia left out some cookies and milk for Santa, and each of them left him a little note too. 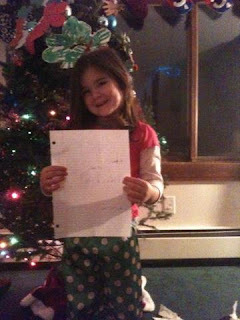 They were so proud of their notes! 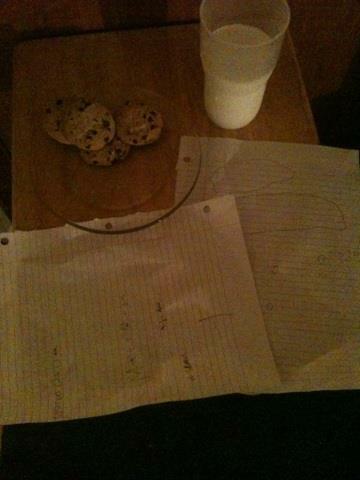 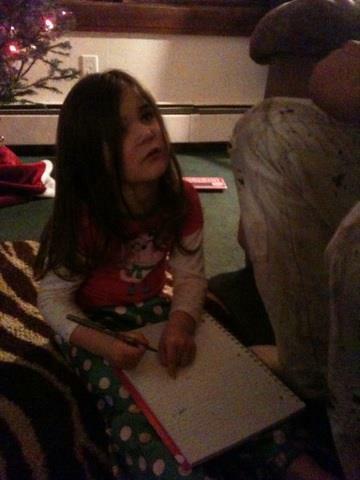 Merasia said hers said "Santa, eat these cookies and eat the milk and leave presents." 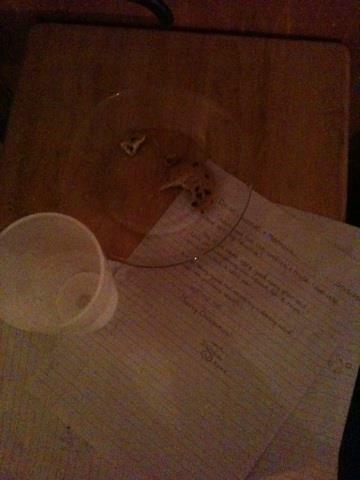 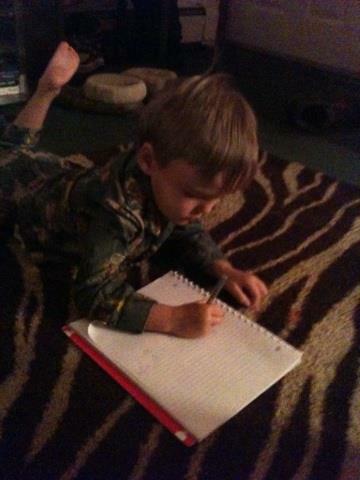 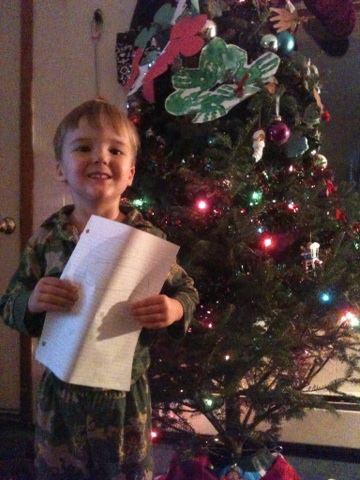 Connor said his note said, "Santa, eat these cookies in my house and drink milk." Their imaginations are adorable! 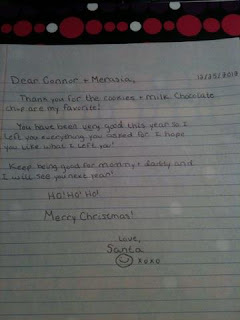 Imagine their surprise the next morning when they saw that the cookies had been eaten and the milk was gone...and that Santa even left them a note back! 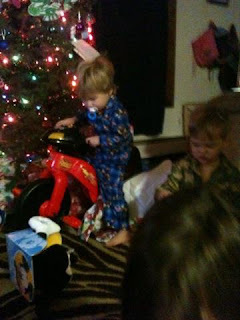 We were just as excited to wake up the next morning as the kids were! 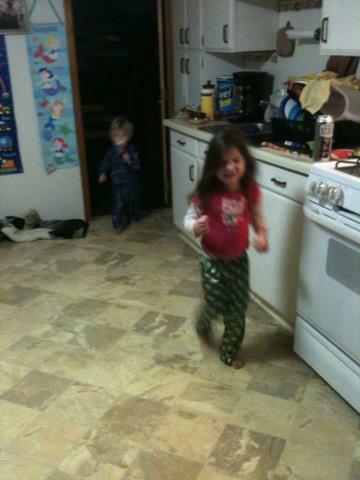 We set our alarm for 6 a.m. and got up to have some coffee and wake up by ourselves for a few minutes. 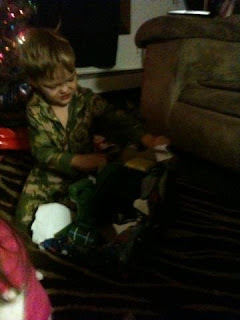 Around 6:30 we woke Mason up and took him into Connor and Merasia's room to wake them up, because we wanted to have all 3 kids come out together and see all of the presents, and I wanted to get pictures of them first coming out and seeing everything. 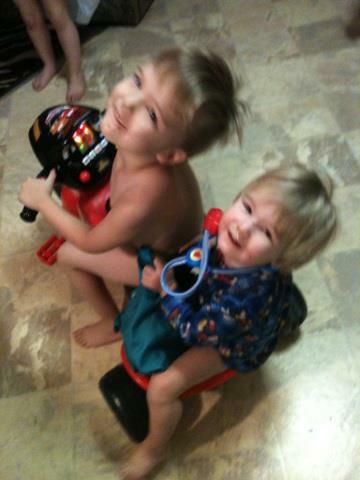 It didn't take them long to realize what was going on and wake up! 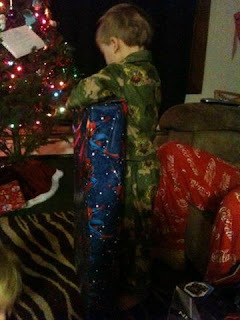 Merasia instantly saw the Dora wrapping paper and knew those presents were for her, and Connor knew the Spider Man wrapping paper was just for him! 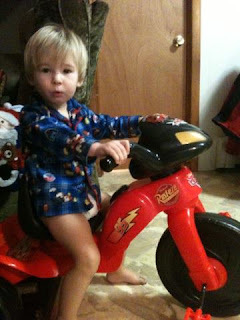 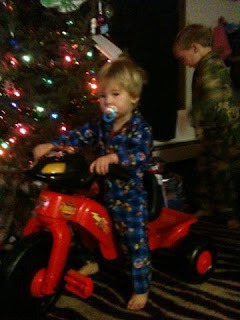 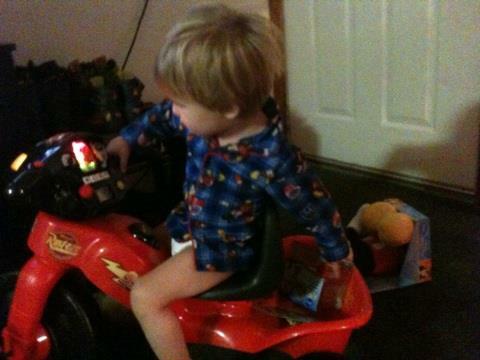 Mason saw his tricycle and ran right to it to try it out! The kids had TONS and TONS of fun opening their gifts! 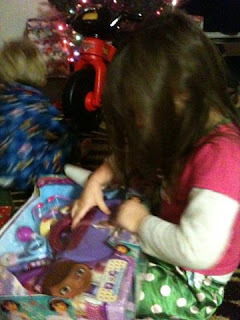 Merasia was the first to start opening and the first to be done. She ripped through each one, got excited over everything, then set it to the side and went to grab a new gift. 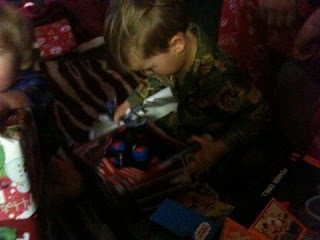 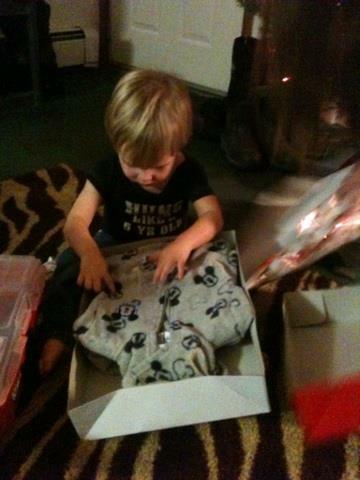 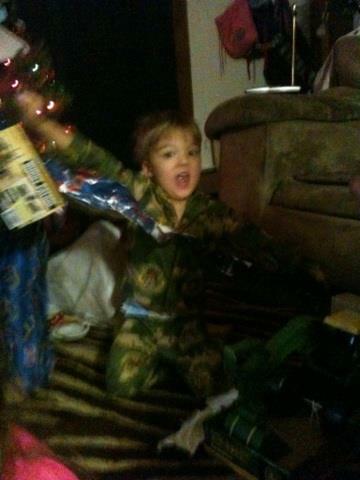 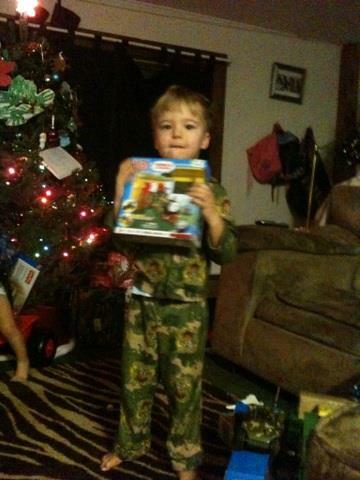 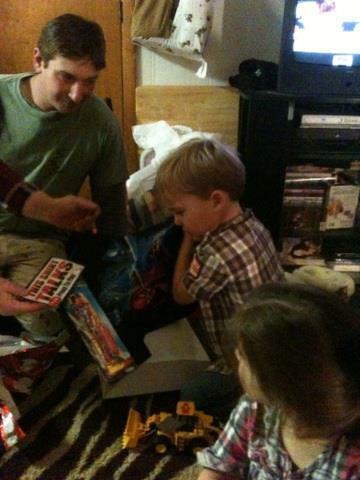 Connor took his time picking a gift to open but didn't take too long to open everything and get excited over it all. 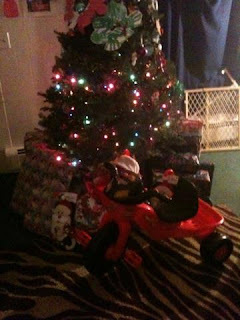 Mason was alllllll about his tricycle! 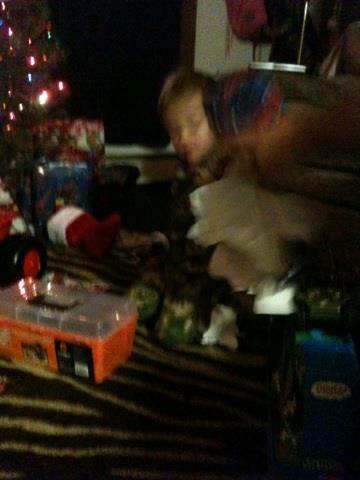 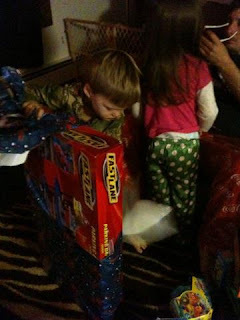 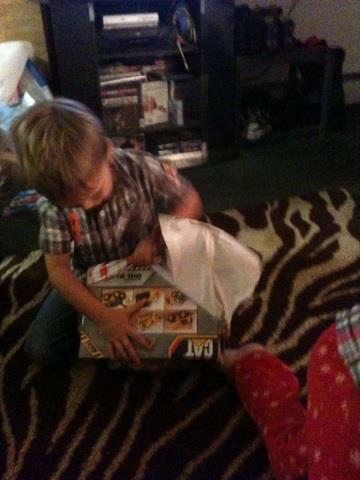 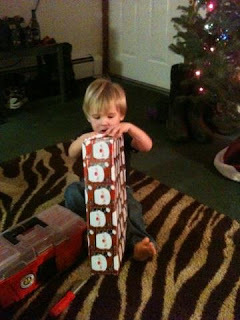 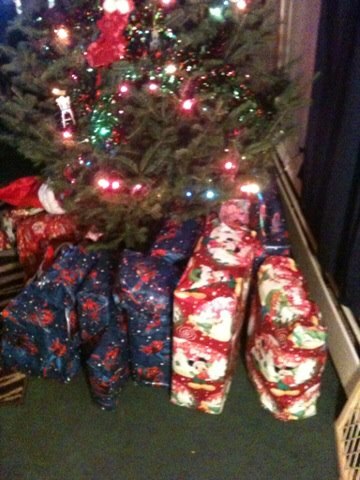 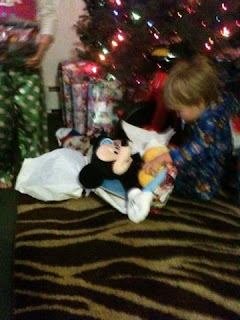 At one point he even loaded a few wrapped gifts into the back and got on it to drive away, waving and saying "Byyyye!!" 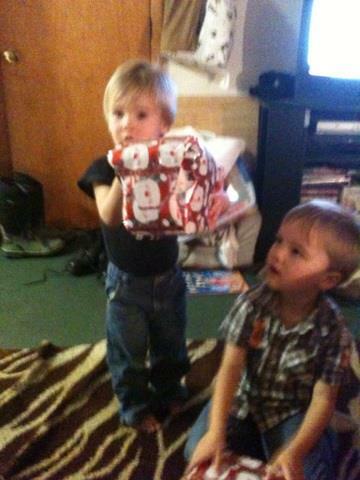 to us! 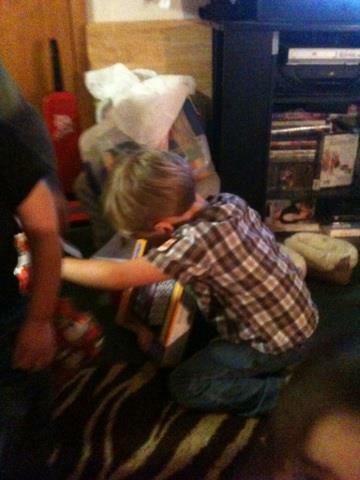 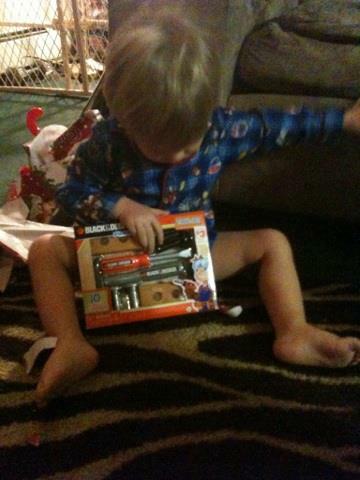 We had to stop him and have him sit down to actually open his presents! 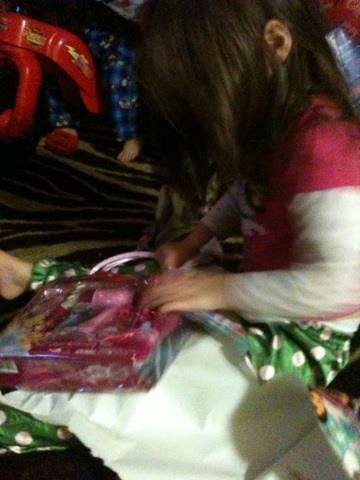 Merasia got a bag of Princess hair supplies that consisted of a pretend curling iron, curlers, hair straightener, lip stick, perfume, hair brush, and blow dryer. 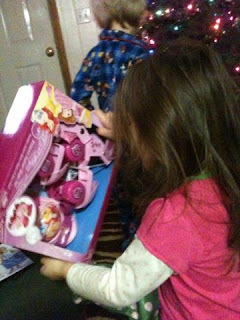 She also got a beautiful Cinderella dress up dress, matching Cinderella dress up shoes, small "Dora and me" figurines, a Princess cash register, Princess roller skates with knee pads, Doc McStuffin's doctor kit and supplies, a new baby that crawls, moves, and talks to her (it even cries when you put it down sometimes! ), a Cinderella doll, and in her stocking she got a small slinky, Princess sunglasses (her other ones broke a few days before Christmas! 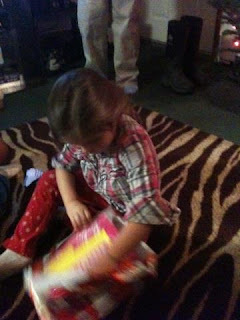 ), Dora hair clips, and a plastic candy cane filled with M&M's. 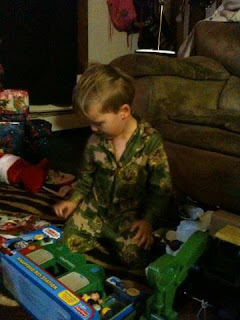 Connor got a John Deere tractor with a bucket on the end that he can really use in the sandbox this year but he looooves sleeping and playing with that thing right now! 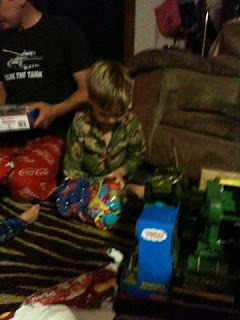 He also got an army car that actually flips around and climbs walls, a small Thomas the Train set building with two trains and a conductor, a tool box with a variety of tools, a playdoh "candy factory" set, another different Thomas the Train set with some legos to build around the train that was included, a "power drill" with goggles, Spider Man roller skates and knee pads, a BIG parking garage/race track with a few new match box cars, and in his stocking he also got a slinky, a small Spider Man figurine with a Spider Man car, and a plastic candy cane filled with M&M's. 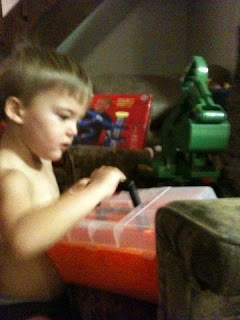 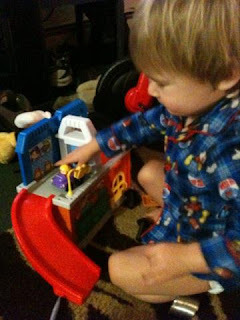 Mason got his Cars tricycle, a Mickey Mouse stuffed animal, a cool big jeep/truck to push around and play with, his own doctor's kit, a "Little People" car wash/parking garage, a big bag of blocks, a mini tool set (I didn't know he was getting a tool box and tools the day before from auntie! 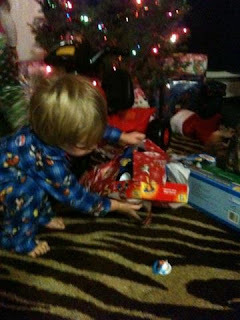 ), and in his stocking he got a small Mickey figurine with a car, a smaller Mickey and Goofy figurine set, a small slinky, and a plastic candy cane of M&M's. 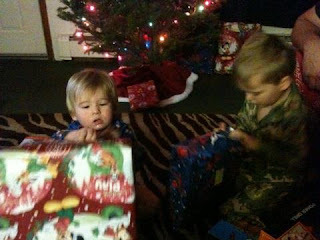 Everyone keeps asking us what their favorite gift was, but they don't have a favorite...they love EVERYTHING they got!! 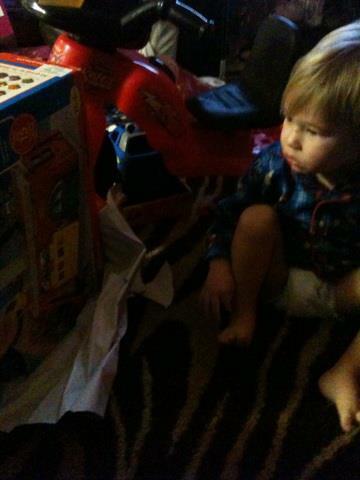 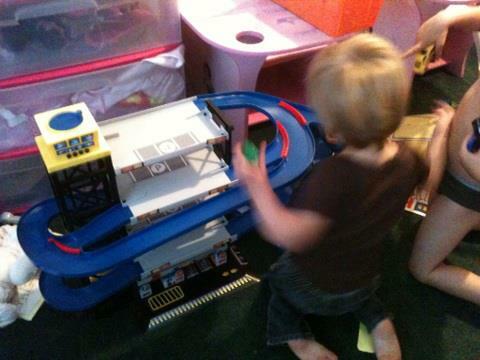 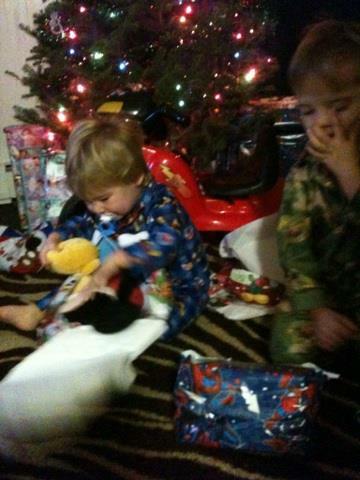 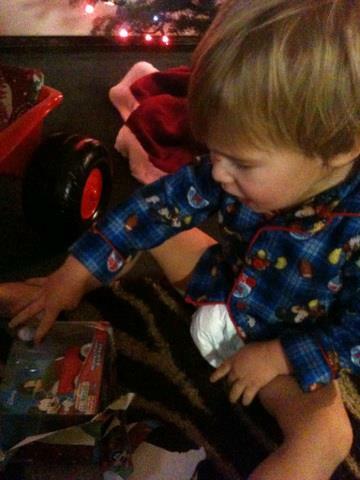 The have been playing with everything since Christmas morning non stop! Merasia wanted her Cinderella dress and shoes on right away, and cradled her new baby. Then she asked me to open her Cinderella doll for her and asked her baby "You want to see your baby sister?" SO cute! 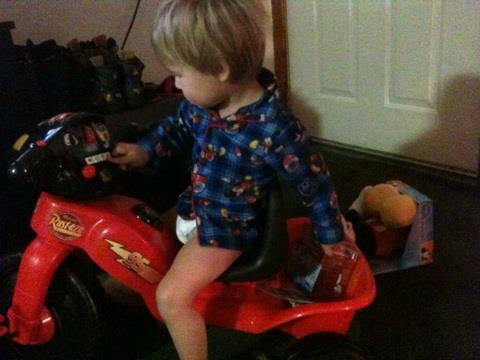 Putting toys in the back of his tricycle and driving away! 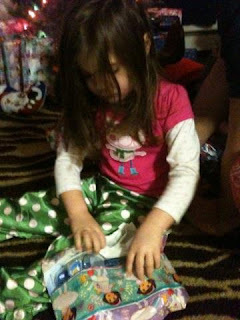 After presents were unwrapped and toys taken out of boxes and the mess cleaned up, it was time for monkey bread, a family tradition for Christmas morning breakfast! 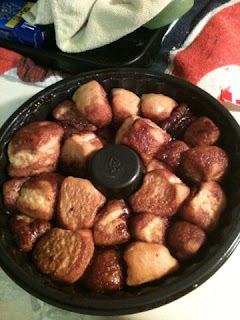 One of my favorite memories of Chrismtas morning from living at home (with my adoptive family) is hearing "Blue Christmas" by Elvis blaring from downstairs at 5 in the morning, and the sounds of my mama bustling around making Monkey Bread. 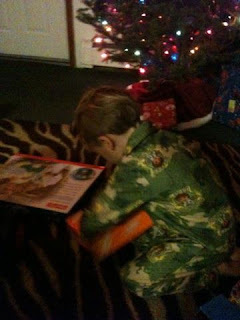 Eventually my sisters and I would get out of bed and head down, and there were all of the presents and goodies, and we'd sit around, opening gifts and munching on Monkey Bread and orange juice. 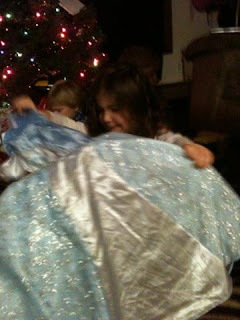 I wanted to carry on this tradition with my children when I had them some day, and that is just what we have done every year that they have been with us. I want them to have special memories of holidays together, especially Christmas as it's truly one of the most special, family oriented holidays full of love and laughter and memories. 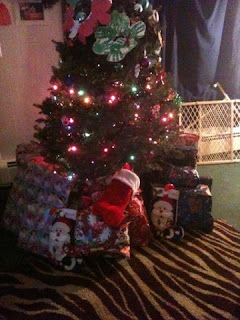 The rest of Christmas day was spent at home. 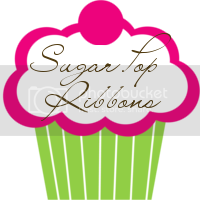 The kids played and played, hubs started homemade beef stew in the crock pot for dinner that night, and I got some things done in the house. 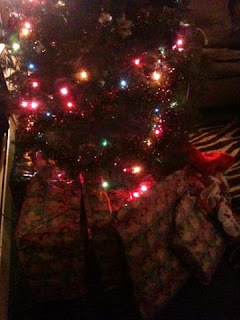 By that afternoon the Christmas decorations were down and packed away and the tree was un-decorated, taken down, and in the dumpster. 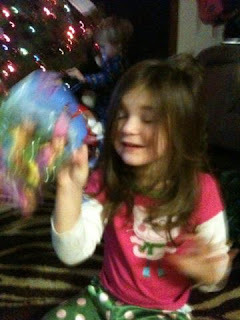 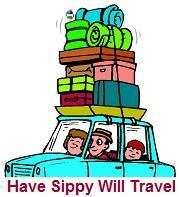 I was ready to get my house and space back, and get back to "normal." I cleaned out Mason's closet in his room, re organized some things in there, and moved the glider out to the living room where the tree had been since that is where it will be when the baby is born in May or June. 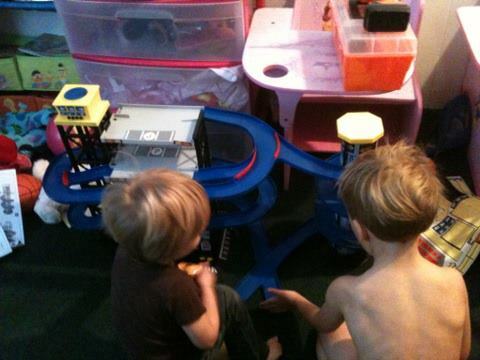 The next day when the kids were all at daycare, I did heavy duty cleaning and organizing in their room, and moved a few toys from the twin's room into Mason's room to clear up room in both areas. It has been a very productive few days! 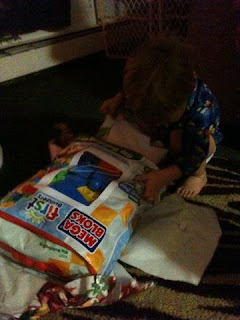 Next up: Connor and Merasia's 4th birthday! 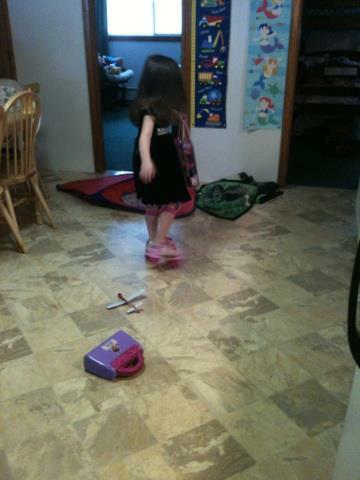 Birthday invitations were handed out at daycare this morning, and they were sent home early due to the heavy snow storm we have today. 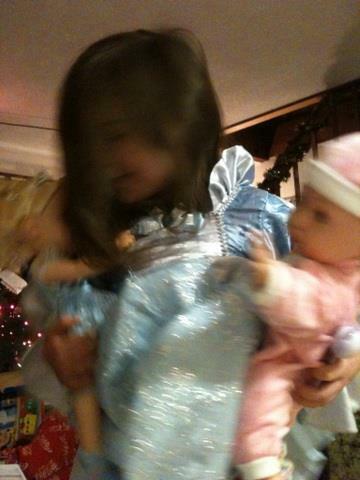 Oh, and one more fun fact....I felt the baby kick my hand for the first time this afternoon! 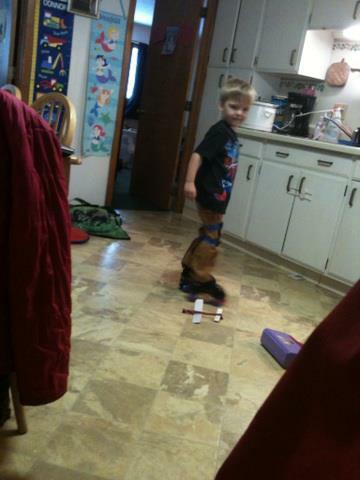 Well, he/she kicked and punched me, because I felt it at the same time with each hand at both sides of my stomach. 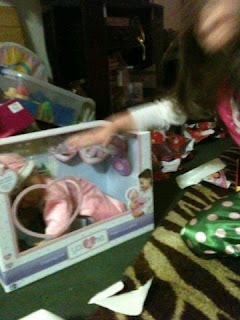 I have been feeling this baby move on the inside for many weeks now, but this is the first time I have put my hand on my belly and been able to feel a kick or movement, so it's very exciting! 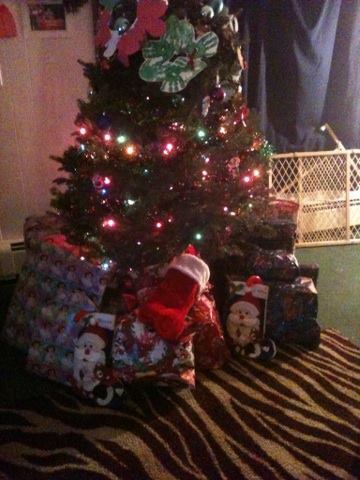 I am in my 17th week, and greatly looking forward to meeting this little one!